We’re ONLY FIVE DAYS away from Microsoft Ignite 2017 and we want to give you a sneak peek on what we have planned for YOU. You HAVE TO visit our booth #1726 to see, to touch, to experience and to witness our new products. Do you remember Project Kepler-47 for Storage Spaces Direct, a 2-node proof-of-concept with Thunderbolt 3 from Microsoft Ignite 2016? IT IS REAL! Intel recently launched their new Purley / Skylake platform, otherwise known as Intel® Xeon® Scalable Processors with Intel C620 Series Chipsets. Then there is DataON MUST for Windows Server 2016, which our Storage Spaces Direct customers use to provide visibility, monitoring and management capacities for their DataON HCI cluster. DataON will be showing MUST 2.0, which has new capabilities such Azure integration, more support for shared storage (CiBs) and more integration with Microsoft. DON’T FORGET to stop by the booth and check out all the new products and solutions. While you’re here, be sure to register to win a Bose QuietComfort 35 Bluetooth Headphone or a Fujufilm instax SHARE Smartphone printer. We’ll also have opportunities to score a free DataON t-shirt or a Starbucks’ gift card! Follow us live from Orlando on Twitter, Facebook, and LinkedIn. We’ll keep you updated on what’s happening at Microsoft Ignite. For those of you who are attending Ignite in person or online, check out the Windows Server 2016 presentations. 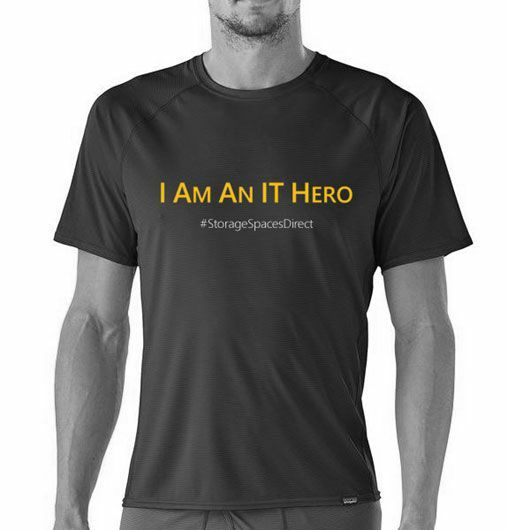 Storage Spaces Direct: Be an IT Hero with Software-Defined Storage!